World War II is oft-treaded territory in gaming, but the historical period is typically explored through bloody shooters, like the early Call of Duty games. 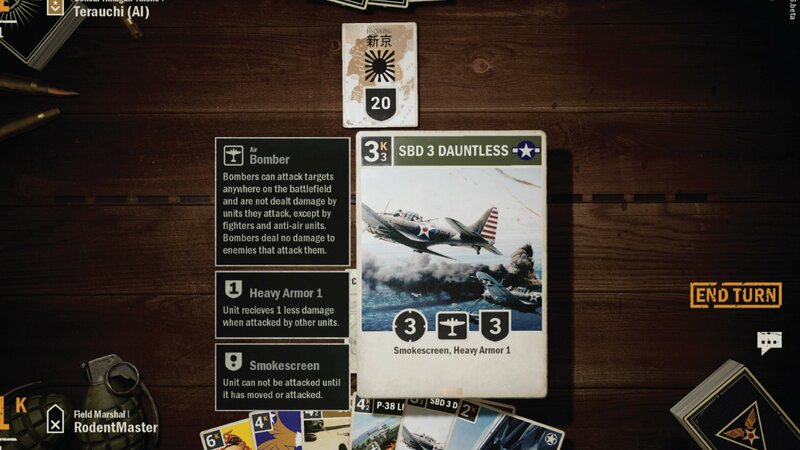 Icelandic indie studio 1939 Games, founded by a group of industry vets and history buffs, is trying something different with Kards, a free-to-play collectible card game set during the second World War. After receiving $3.9 million in funding from a variety of investors, 1939 Games is set to release Kards for PC and mobile in 2019. As the studio’s name implies, the developers at 1939 Games are definitely WWII enthusiasts. According to a press release, the studio was founded by former CCP Games execs “with a passion for bringing authentic, premium WWII experiences to gamers.” Led by Ívar Kristjánsson, whose previous claim to fame is launching the prolific MMO Eve Online, 1939 Games has been around since 2015, and Kards will be its first game release. Kards is described as being “built around the classic dynamics of booster packs and deck building” with a World War II bent, allowing players to take the roles of historical powers Britain, the United States, Japan, Germany, and the Soviet Union. The infantry, navy, aircraft, and armored vehicles are among the playable cards, and players can also use “special orders,” though there are no additional details about those. Despite the market saturation of mobile CCGs, 1939 Games promises “exciting gameplay innovations” to make its WWII game stand out. "We played a lot with the plastic Airfix and Matchbox soldiers when we were kids and made a lot of the old Airfix and Matchbox plastic models," Ívar Kristjánsson, CEO of 1939 Games, told GameDaily over email, when asked about how the team became so passionate about WWII. "When we got older, [our interest in] increased and WWII, as horrible as it was, is one of the best-documented parts of history and how it evolved plays such a big part of how the world we live in today. We also played a lot of war- strategy games in both a digital and physical format such as Risk, Axis and Allies, Panzer General and many many more." Though no specific release date was provided, the press release stated that Kards is due out later this year for PC, Mac, and mobile platforms.